Christmas was good to me. I was the lucky recipient of a new meat recipe book: Meat, delicious dinners for every night of the week by Australian chef Adrian Richardson. Apart from the many great meat recipes there is an extensive section at the rear of the book outlining all the recommended accompaniments to the main dishes. Sauces, marinades and appropriate salads make this a great resource. The barbecued butterflied lamb is a great recipe – the marinade imparts flavours of Greece – in fact, serve the meat with a Greek salad (red onion, olives, cucumber, tomato, feta) and you could be in the Mediterranean. 1 leg of lamb with bone out and butterflied. Get your butcher to do this – it’s easier. 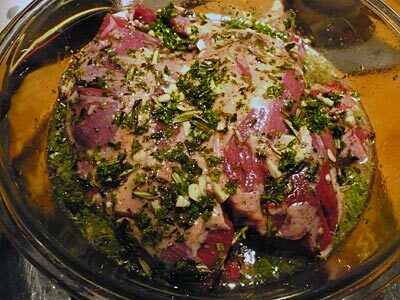 Open the leg of lamb out and trim away the excess fat. Strip the leaves from the rosemary stalks and bruise them with a pestle, or something heavy and flat. Chop this up and rub it all over the lamb. Transfer it to a plastic bowl that will snugly hold the meat. To make the marinade mix all the other ingredients together except for the lemon zest and juice. You’ll use this for serving. Pour the marinade over the meat and rub it in well using your hands. Cover it and refrigerate as long as you can, preferably overnight. When you are ready to cook take the meat out of the refrigerator and return to room temperature. Light your barbecue, or heat your oven to a medium/hot setting. 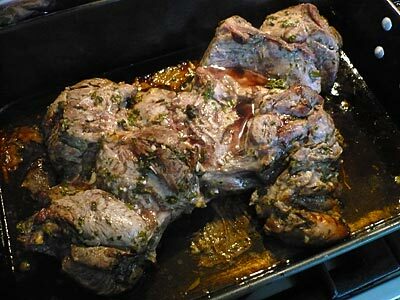 Cook the lamb for 20-30 minutes for medium rare turning continuously. Leave it to rest for 15 minutes or more in a warm spot before serving. 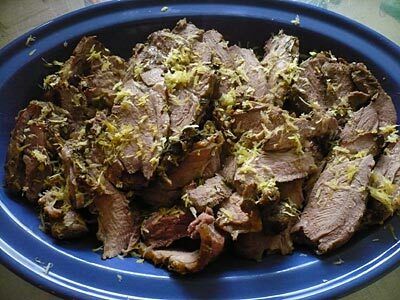 Just before you are about to carve pour the lemon juice and zest over the lamb. Slice thinly and serve with a specialty bread, a greek salad, and tzatziki.